Save by pairing your lodgings and airfares. Expedia has loads of outstanding Sanlucar de Barrameda vacation packages that'll simplify things and give you more cash to spend! With more than 400 airline partners and 321,000 worldwide properties, our extensive database can help you reach your ideal destination. There's no end to the number of fantastic things you can do when you're somewhere new. So why not get your trip to Sanlucar de Barrameda off to a sensational start by perusing some of our suggestions? After all – out there starts here! Traipse through the very old halls, chambers and passageways of Castillo de Santiago. This impressive fortification provides an educational day trip for both adults and children. There's an excellent range of things to do in this destination. Many powerful families have made Ducal Palace their home over the years. If you've ever daydreamed about living like the elite, you'll love this majestic residence. Still got some time to spare? Eager to add some deeper meaning to your travels? Make the trip to Church of Our Lady of O. No matter what your spiritual beliefs, it's a fantastic place to connect with the local faith. Looking for suitable accommodations for cheap vacations or luxury getaways in Sanlucar de Barrameda? There are 11 properties not too far from the downtown area. Choose your favorite one today with the help of Expedia. It's not every day you get to go on vacation, so why not pamper yourself and spend a couple of nights in a deluxe room at the Macià Doñana (C/ Orfeon Santa Cecilia, S/n) or the Palacio de Arizón (Plaza Quinto Centenario, S/n)? With five-star service and first-class amenities, you'll feel like royalty! On the hunt for somewhere a bit cheaper? 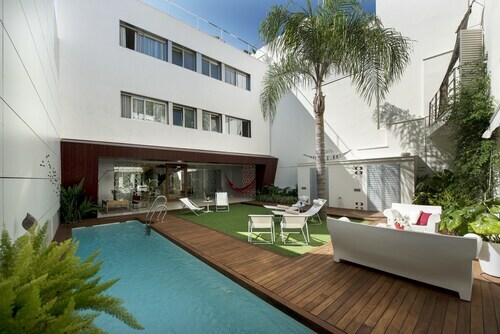 The Hotel Apartamentos Marina Luz (Avda De Sevilla 88) and the Hostal Boutique Alcoba (C/ Alcoba 26) are a couple of places that won't put a dent in your bank balance. Jerez de La Frontera Airport (XRY) is the starting point for most travelers taking a trip to Sanlucar de Barrameda. It's situated 16 miles (26 km) from the town center. 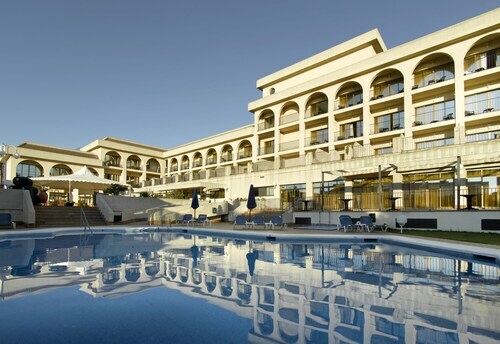 Located in the heart of Sanlucar de Barrameda, this luxury hotel is within a 15-minute walk of Ducal Palace and Donana National Park. Church of Our Lady of O and Church of Santo Domingo are also within 15 minutes. 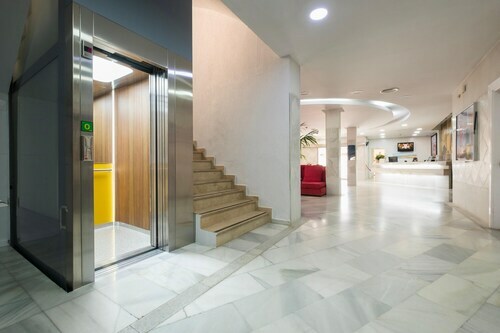 Located in the heart of Sanlucar de Barrameda, this hotel is 0.4 mi (0.6 km) from Church of Santo Domingo and 1.7 mi (2.7 km) from Donana National Park. Ducal Palace and Church of Our Lady of O are also within 15 minutes. 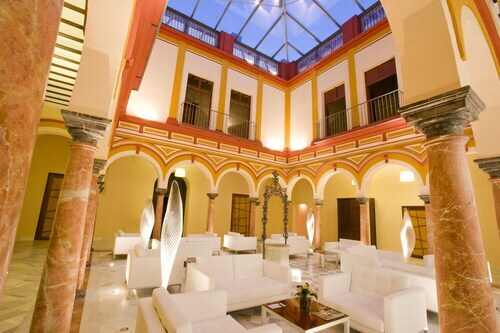 Situated in Sanlucar de Barrameda, this romantic hotel is 0.2 mi (0.3 km) from Church of Santo Domingo and 1.9 mi (3 km) from Donana National Park. Ducal Palace and Church of Our Lady of O are also within 10 minutes. Situated near the beach, this hotel is within 1 mi (2 km) of Church of Santo Domingo and Donana National Park. Castillo de Santiago and Barbadillo Winery are also within 1 mi (2 km). Located in the heart of Sanlucar de Barrameda, this property is 0.1 mi (0.2 km) from Church of Santo Domingo and 1.5 mi (2.4 km) from Donana National Park. Castillo de Santiago and Barbadillo Winery are also within 10 minutes. Situated in Sanlucar de Barrameda, this historic vacation home is 0.1 mi (0.2 km) from Church of Santo Domingo and 1.6 mi (2.6 km) from Donana National Park. Castillo de Santiago and Barbadillo Winery are also within 10 minutes. 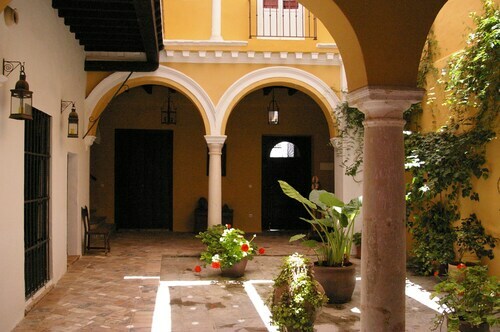 Located in the heart of Sanlucar de Barrameda, this boutique hostal is 0.1 mi (0.1 km) from Church of Santo Domingo and 1.8 mi (2.9 km) from Donana National Park. Castillo de Santiago and Barbadillo Winery are also within 10 minutes. 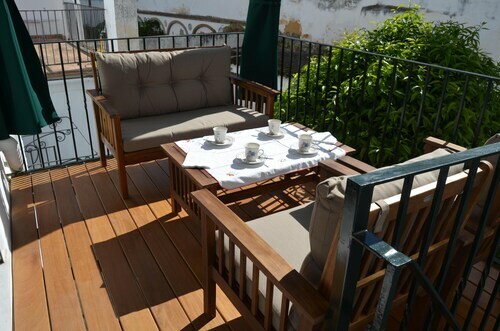 Located in the heart of Sanlucar de Barrameda, this guesthouse is 0.2 mi (0.4 km) from Church of Santo Domingo and 1.8 mi (2.8 km) from Donana National Park. Castillo de Santiago and Ducal Palace are also within 10 minutes. Mon., 14 Oct. - Thu., 24 Oct. Sun., 15 Dec. - Sat., 28 Dec.